President and CEO, Mizrahi Developments. 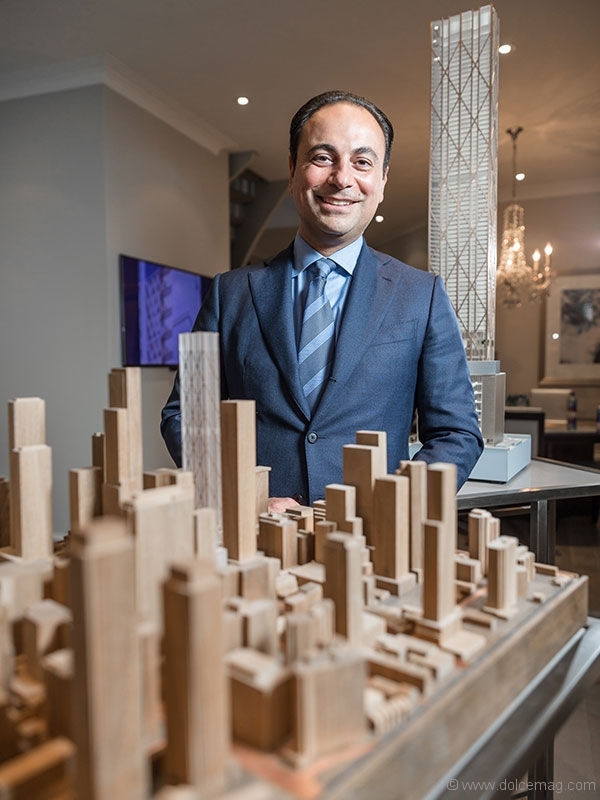 When Sam Mizrahi, president of Mizrahi Developments, set his sights on the most famous intersection in the blossoming metropolis of Toronto, he knew it was The One. Today, that corner of Yonge and Bloor is now the future home of One Bloor West, Toronto’s most anticipated retail and residential structure that promises to scrape the sky in the most beautiful way. 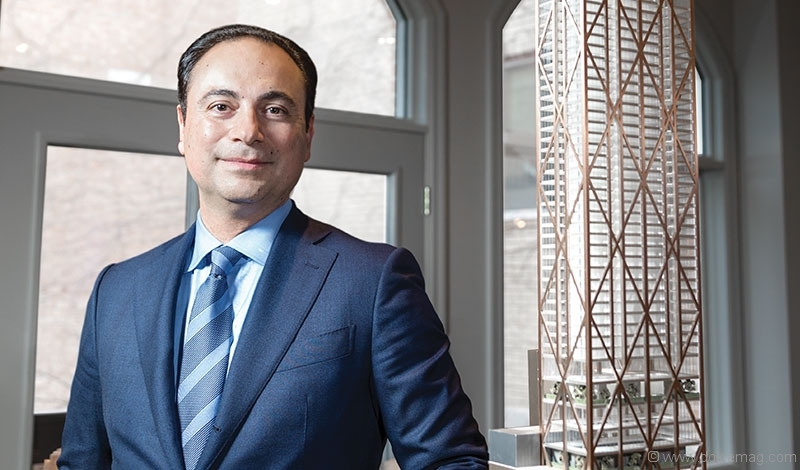 It’s not just this soon-to-be landmark that has placed Mizrahi on the map as one of the country’s most influential luxury real estate developers. The businessman has made waves in this high-stakes industry since he first set foot in it after years of heading a luxury dry-cleaning business in the city. 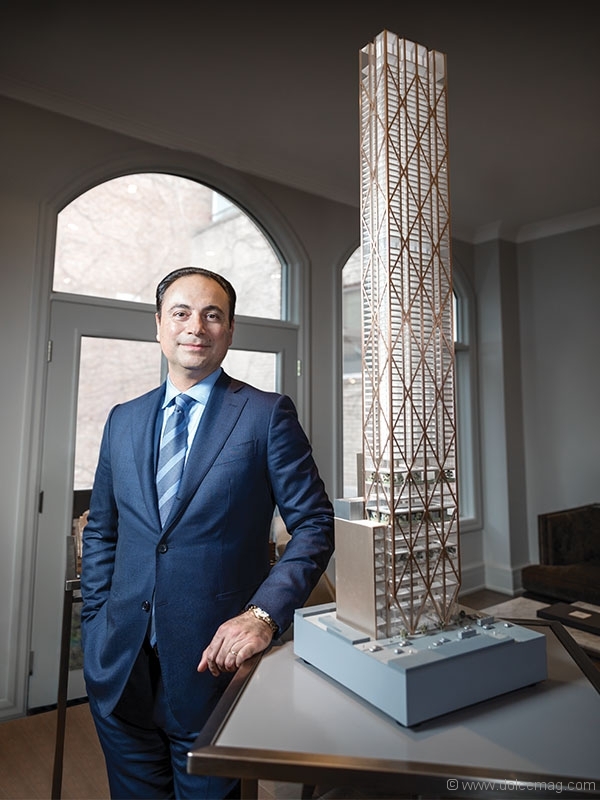 While he wasn’t always a real estate mogul, building luxury homes has always been on Mizrahi’s radar. The Toronto skyline is happy he brought these experiences home with him, along with the mission to blanket the city with unique design. The structures brought to life by Mizrahi and his team seem to speak another language, one that’s new and intriguing to the city and the Greater Toronto Area. By blending old-world heart with modern craftsmanship, style and innovation, Mizrahi Developments unveils residential structures that not only are inspiring to look at, but also challenge the industry to join in taking the city’s structures to the next level. Complementing Mizrahi’s passion for quality creations is his dedication to respecting the communities he builds in as much as he enriches them. Like all good businesspeople, Mizrahi has also mastered the art of balance. A husband and father, he’s as much a family man as he is a businessman — and he makes it his priority to build up his loved ones like he builds up his developments. Of course, it’s a challenging feat when you clock 12 hours a day and travel an average of 30,000 kilometres a year (he’s jetted from Dubai to Israel, from France to Italy, from the U.K. to China and beyond). But he attributes his juggling act to simply making it happen. Mizrahi has another passion outside of work: the UJA Federation of Greater Toronto. He’s an avid supporter of the organization, whose mission is to preserve and strengthen the quality of Jewish lives in and around the city, across Canada and internationally. Not only is it a cause that’s close to Mizrahi’s heart, but it’s also through his involvement with the UJA that he’s met some of his dearest friends.